Financial knowledge is a cornerstone of both independence and success but it is also a skill that often is overlooked. As a strong women and an emerging leader you need to be in control of your finances. Knightsbridge has partnered with Women of Influence Inc to deliver programs related to Elevating Your Influence as a business leader. The program is delivered in 3-month, 8-month, or 12-month modules which are designed to meet your needs. Hosted by Bonnie Marcus, executive coach, professional speaker, Forbes contributing writer and radio host, Connecting with Power is a hands on highly participatory course designed for aspiring women that want mentors, champions and resource teams to help them succeed faster and better. 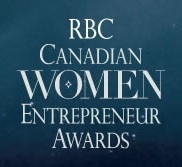 Join the exciting tribute to Canada’s most outstanding women entrepreneurs at a black tie dinner and awards gala. Secretary General and Vice-President Governance & Corporate Social Responsibility, Desjardins Group and 2012 Top 25 Women of Influence winner. Creating a powerful online presence and a strong support network are two of the keys to success in the 21st century business world – working in communications on global programs, Danielle knows that all too well. In partnership with Queen’s School of Business. Your organization’s strategic plan is its game plan for organizational change. In partnership with Queen’s School of Business. This 2-day Program provides a variety of practical strategies to become a successful negotiator in any context. The art and science of creating trust, confidence, acceptance and engagement. Led by Women of Influence CEO, Carolyn Lawrence. In partnership with Queen’s School of Business. The route to faster, more confident decisions with better analysis and outcomes. In partnership with Queen’s School of Business. The ongoing task of developing talented people requires many kinds of conversations. In partnership with Queen’s School of Business. Understanding financial statements and the drivers of profitability, cash flow and growth. In partnership with Queen’s School of Business. Achieving breakthroughs and success, by leveraging assets, and finding hidden resources. Define your brand with authenticity, and present yourself with clarity and power. It is your life and only you are responsible for the growth and success of your personal brand. Your boss, your corporation or even your family cannot take on this responsibility. It is all yours. Your big foundation for real and enduring success. Be more confident, passionate and persuasive. See yourself, your opportunities, and your strengths more clearly. Learn to lead by intention and handle challenging people and situations. In partnership with Knightsbridge. Propelling the team to higher levels of achievement and fulfillment. From the day she realized that selling super-computers was the more practical road, to her rise to the top of Schlumberger Canada, Donna has been weighing the options, looking at the practicalities and forging an impressive career. Join us to hear her story. Dee Dee Taylor Eustace shares how, like any great product, a personal brand is not only how you define yourself, it’s also how others perceive you. Can you really have it all? The dream career, marriage, family, health – everything balanced and successful? These women will have you believing anything is possible. Our panellists are living proof that you can manage work and life. She has built a marketing career with endurance. Join Sandra Sanderson on June 7th and be inspired to develop your own path to success.